A moment of quality from Joe Mason sent Cardiff City into the quarter-finals of the Carling Cup for the first time since 1965. The 20-year-old curled a left-foot shot into the bottom corner from just inside Burnley's penalty area on 40 minutes. Burnley's best moments came early in the first half when Keith Treacy and Ben Mee tested home keeper Tom Heaton. Mark Hudson could have made the final 15 minutes more comfortable for Cardiff but he headed over from two yards. 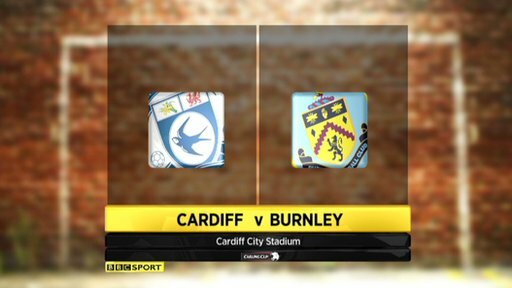 Burnley, who arrived in the Welsh capital having won the three previous League Cup meetings between the sides, managed to push Cardiff back deeper into their own half in the closing stages but failed to carve out a clear opening to draw level. 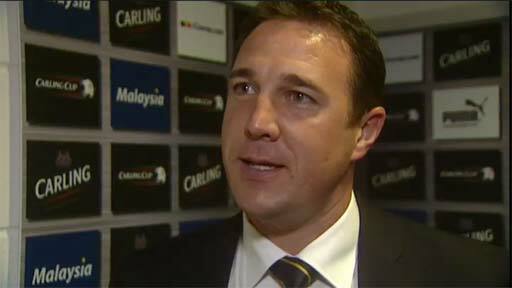 Cardiff were the better team in possession, with Don Cowie, Craig Conway and Mason linking well in a 4-3-3 formation. Mason, a £250,000 summer signing from Plymouth Argyle, wasted the easiest chance of the match when he grazed the outside of the post from six yards after just four minutes. It gave early notice of the young striker's intelligent movement off the ball, which unsettled the visiting defence throughout. Burnley's purple patch came in the opening 20 minutes when they looked dangerous on the counter-attack. Treacy forced Heaton into action to push his low effort around the post at full-stretch, and the stand-in keeper turned Mee's header onto the bar from the resulting corner. But Cardiff delivered the decisive blow just before the break when Cowie's ball found Mason in space in the penalty area and the striker side-footed the ball expertly past Lee Grant's despairing dive. Burnley finally began to exert a degree of pressure in the final 20 minutes, but defender Mee wasted the only real chance when he sent a free header wide, while Heaton saved comfortably from a Jay Rodriguez shot. Bluebirds captain Hudson then headed over after Grant misjudged Peter Whittingham's cross, but the miss proved immaterial as Cardiff held on for victory. "A 1-0 win, a clean sheet, no injuries and through to the quarter-finals of the Carling Cup is a good night. "We were playing against a good Championship team who have game-changing players. "I was delighted with the way we passed the ball, we created three great chances in the first half and didn't allow them a shot in the second half." "It's disappointing to lose the game. We started the game really well and tested their goalkeeper early on. 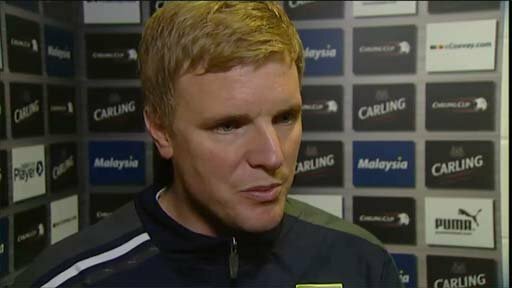 "It was a positive start and on another day we could have scored a couple of goals. "We also finished the game well and applied a lot of pressure with good possession, but we didn't work their keeper enough or hurt them in the second half." 90:00+2:54 The final whistle is blown by the referee. 89:23 Brian Easton has an effort at goal from outside the area missing to the wide left of the goal. 87:53 Free kick awarded for an unfair challenge on Ross Wallace by Filip Kiss. Free kick taken by Kieran Trippier. 86:46 Mark Hudson gives away a free kick for an unfair challenge on Charlie Austin. Ross Wallace restarts play with the free kick. Kieran Trippier sends in a cross. 85:54 Kieran Trippier produces a cross, Shot from deep inside the area by Brian Easton clears the crossbar. 84:48 Joe Mason has an effort at goal from outside the penalty box which goes wide left of the goal. 83:53 The ball is sent over by Peter Whittingham, clearance made by Dean Marney. 83:02 The referee blows for offside. Tom Heaton takes the free kick. 82:27 The referee penalises Don Cowie for handball. Direct free kick taken by Brian Easton. 82:10 Filip Kiss takes a shot. Save by Lee Grant. 80:54 Unfair challenge on Kieran Trippier by Peter Whittingham results in a free kick. Kieran Trippier restarts play with the free kick. 80:11 Ben Mee concedes a free kick for a foul on Filip Kiss. Free kick taken by Tom Heaton. 75:40 Centre by Peter Whittingham, Header from close in by Mark Hudson misses to the left of the target. 75:16 Free kick awarded for an unfair challenge on Kevin McNaughton by Zavon Hines. Direct free kick taken by Peter Whittingham. 73:09 Ross Wallace takes the inswinging corner, clearance by Kevin McNaughton. 72:01 Free kick awarded for an unfair challenge on Zavon Hines by Aron Gunnarsson. Ross Wallace restarts play with the free kick. Jay Rodriguez takes a shot. Blocked by Filip Kiss. 69:43 Ross Wallace delivers the ball, Ben Mee produces a header from inside the area that goes over the crossbar. 69:43 Substitution Filip Kiss on for Craig Conway. 69:43 Booking Booking for Kevin McNaughton for unsporting behaviour. 69:37 Unfair challenge on Zavon Hines by Kevin McNaughton results in a free kick. 67:49 Free kick awarded for an unfair challenge on Mark Hudson by Ben Mee. Tom Heaton takes the direct free kick. The referee blows for offside against Joe Mason. Ben Mee takes the free kick. 67:03 Aron Gunnarsson challenges Ross Wallace unfairly and gives away a free kick. Direct free kick taken by Ross Wallace. 64:24 Substitution Keith Treacy leaves the field to be replaced by Charlie Austin. 63:13 Zavon Hines takes a shot from just inside the penalty box which clears the crossbar. 61:57 The ball is delivered by Andrew Taylor. 61:30 Kieran Trippier challenges Craig Conway unfairly and gives away a free kick. Andrew Taylor restarts play with the free kick. 61:05 Joe Mason is ruled offside. Lee Grant takes the free kick. 59:02 Ross Wallace crosses the ball from the free kick left-footed from right channel. 59:02 Booking Anthony Gerrard is shown a yellow card. 58:55 Zavon Hines fouled by Anthony Gerrard, the ref awards a free kick. 54:59 Corner taken right-footed by Don Cowie from the left by-line to the near post, clearance made by Kieran Trippier. 54:52 Booking Marvin Bartley booked. 54:33 Peter Whittingham takes a shot. Save by Lee Grant. 53:42 The ball is crossed by Craig Conway, save made by Lee Grant. 52:57 Jay Rodriguez crosses the ball, clearance made by Mark Hudson. 52:20 Short corner taken by Peter Whittingham. 52:13 The ball is sent over by Aron Gunnarsson, Ben Mee makes a clearance. 50:19 The official flags Kevin McNaughton offside. Lee Grant takes the indirect free kick. 48:07 Kieran Trippier concedes a free kick for a foul on Craig Conway. The free kick is delivered left-footed by Peter Whittingham from left wing, Mark Hudson challenges Lee Grant unfairly and gives away a free kick. Lee Grant takes the free kick. 47:28 Foul by Marvin Bartley on Peter Whittingham, free kick awarded. Stephen McPhail restarts play with the free kick. 46:46 The assistant referee flags for offside against Jay Rodriguez. Indirect free kick taken by Tom Heaton. 45:01 Substitution Chris McCann leaves the field to be replaced by Ross Wallace. 45:01 Substitution Alex MacDonald goes off and Marvin Bartley comes on. 45:00+2:08 The match has reached half-time. 45:00+1:23 Corner taken by Peter Whittingham from the right by-line played to the near post, Jay Rodriguez makes a clearance. 45:00+0:58 Aron Gunnarsson takes the free kick. 45:00+0:58 Booking Zavon Hines is booked. 45:00+0:30 Zavon Hines concedes a free kick for a foul on Mark Hudson. 44:59 Zavon Hines challenges Kevin McNaughton unfairly and gives away a free kick. Mark Hudson restarts play with the free kick. 44:29 Kevin McNaughton restarts play with the free kick. 44:29 Booking Alex MacDonald receives a caution for unsporting behaviour. 44:24 Foul by Alex MacDonald on Kevin McNaughton, free kick awarded. 44:13 Kieran Trippier delivers the ball, clearance by Mark Hudson. 43:12 Effort from just outside the box by Alex MacDonald goes over the bar. 42:32 Stephen McPhail concedes a free kick for a foul on Keith Treacy. Kieran Trippier takes the direct free kick. 42:00 Joe Mason delivers the ball, Lee Grant makes a save. 40:51 Shot from just outside the box by Alex MacDonald goes over the target. 39:57 The assist for the goal came from Don Cowie. 39:57 GOAL - Joe Mason:Cardiff 1 - 0 Burnley Joe Mason finds the back of the net with a goal from the edge of the area to the bottom left corner of the goal. Cardiff 1-0 Burnley. 38:24 Unfair challenge on Zavon Hines by Anthony Gerrard results in a free kick. Keith Treacy crosses the ball from the free kick left-footed from right channel, clearance made by Stephen McPhail. 37:16 Corner taken left-footed by Peter Whittingham from the right by-line, save made by Lee Grant. 36:41 The ball is swung over by Keith Treacy, clearance made by Anthony Gerrard. 34:45 Kevin McNaughton challenges Zavon Hines unfairly and gives away a free kick. Brian Easton takes the direct free kick. 33:40 Free kick awarded for an unfair challenge on Craig Conway by Alex MacDonald. Direct free kick taken by Stephen McPhail. 32:40 Stephen McPhail takes the direct free kick. 32:40 Booking The referee cautions Dean Marney for unsporting behaviour. 32:21 Peter Whittingham fouled by Dean Marney, the ref awards a free kick. 32:12 A cross is delivered by Joe Mason, clearance made by Ben Mee. 30:31 The referee blows for offside. Free kick taken by Mark Hudson. 29:17 Keith Treacy challenges Stephen McPhail unfairly and gives away a free kick. Direct free kick taken by Stephen McPhail. 28:52 Effort from deep inside the area by Don Cowie clears the bar. 23:39 Inswinging corner taken by Don Cowie, Mark Hudson concedes a free kick for a foul on Ben Mee. Free kick taken by Lee Grant. 23:35 The ball is swung over by Kevin McNaughton, Ben Mee makes a clearance. 22:42 The ball is delivered by Kieran Trippier, Jay Rodriguez produces a header from inside the area that goes over the bar. 21:35 Effort by Craig Conway from a long way out goes over the target. 20:55 Peter Whittingham decides to take the corner short, Don Cowie produces a cross, Jay Rodriguez manages to make a clearance. 20:38 Craig Conway takes a shot. Save made by Lee Grant. 19:33 The referee penalises Zavon Hines for handball. Free kick taken by Stephen McPhail. 14:35 Dean Marney gives away a free kick for an unfair challenge on Andrew Taylor. Tom Heaton restarts play with the free kick. 13:39 Free kick awarded for an unfair challenge on Jay Rodriguez by Mark Hudson. Free kick taken by Brian Easton. 11:09 Inswinging corner taken left-footed by Keith Treacy from the right by-line to the near post, clearance made by Don Cowie. 10:41 Corner taken left-footed by Keith Treacy to the near post, Ben Mee takes a shot. Save by Tom Heaton. 10:25 Keith Treacy takes a shot. Save by Tom Heaton. 9:36 Outswinging corner taken left-footed by Keith Treacy from the left by-line. 7:40 Craig Conway takes a shot. Ben Mee gets a block in. 4:59 Joe Mason produces a left-footed shot from inside the box and strikes the post. 3:17 Dean Marney takes a shot. Save by Tom Heaton. 2:05 Mark Hudson challenges Zavon Hines unfairly and gives away a free kick. Direct free kick taken by Dean Marney.